Discogs has launched a new marketplace, Discogs Exclusives, now in its beta phase, which is dedicated “to rare and limited release vinyl and cassette offerings including test-pressings, special editions, out of print fare and warehouse finds”, according The Vinyl Factory. Discogs’ Jeffrey Smith explained to The Vinyl Factory why start a separate marketplace for these items: “To help collectors to have access to something neither we nor the Community have access to: test pressings or tiny amounts of out-of-print stock that can be hard to find — even in our own Marketplace”. 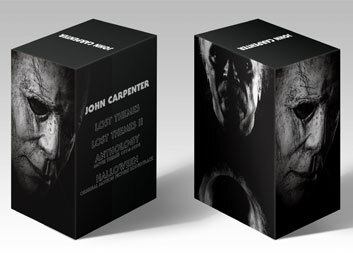 The first Discogs Exclusives item is A John Carpenter cassette box set. This box set contains all of John Carpenter’s full-length albums recorded with his son Cody Carpenter and godson Daniel Davies and released on Sacred Bones Records. Lost Themes, Lost Themes ii, Anthology: Movie Themes 1974-1998, and Halloween 2018 OST are all collected here for the first time as a Discogs exclusive. All four cassettes are housed in a designed slipbox.